Winter time is fun-time for our dogs at Team STIHL. We love getting out in the snow and playing together. Snow offers a low impact environment and makes for a wonderful playground. But just as we need to take the necessary precautions to keep safe and comfortable, be sure that you take precautions with your four-legged friends. 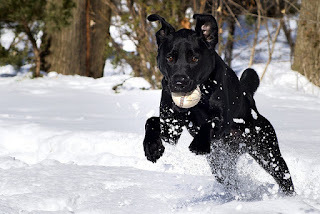 Here are a few things that can be done to help your dog have a safe and happy winter season. Take care of those Paws. 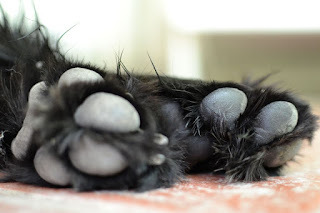 Protective Booties are a great way to protect the paws, but if your dog doesn’t take a liking to these, keeping their nails and hair between and around the nails trimmed keeps them from holding moisture and freezing and will keep them from collecting snow and ice. Maintain a Healthy Coat and Skin. With the colder weather comes drier air. A dog’s skin and fur can become dry so be sure to brush your dog on a regular basis and maybe even consider periodically using a dry skin shampoo. Avoid Salt or other Chemicals used to melt ice on Sidewalks or Roads. These chemicals can stick to your dog’s pads and when they lick their pads can be ingested and be harmful. Try to avoid areas that use snow melt chemicals as much as possible, and simply wiping off the pads after coming inside should take care of any remaining issues. Keep an eye on that Nose and those Ears. Dogs are just as susceptible to frostbite as we are, especially on the paws, nose and ears. Make sure the ears are clear of snow and moisture and watch for any discoloring of the inner ear as well as the nose. If in doubt, time to go in. Keep an eye out for Antifreeze. Vehicles can leak antifreeze on roadways, driveways, and in garages. Dogs are attracted to this and it is very toxic for them. Keep them AWAY. Don’t Fear the cold winter season. Respect it and enjoy it. 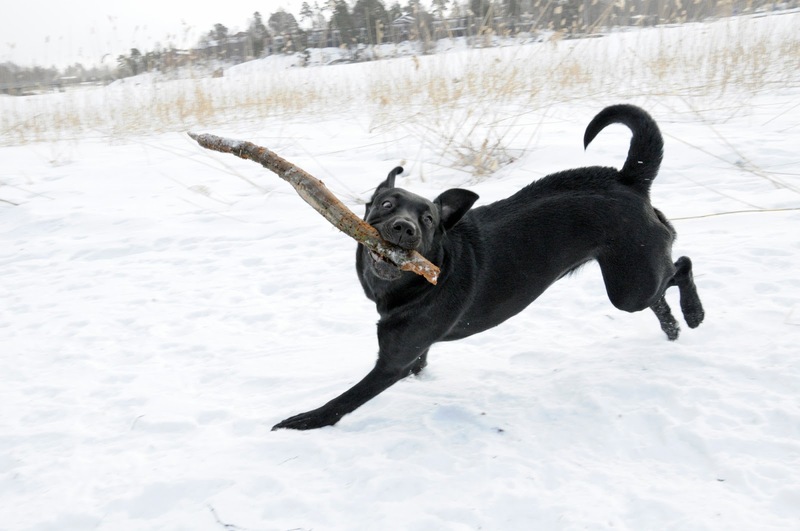 Winter time can be loads of fun for both you and your dog, so don’t let it stop you. A few precautions and some common sense and you both can play in a Winter Wonderland.